Textured, black/camel weave matches up with so many trousers and tops. Italian fabric of bamboo viscose is silky to the touch. Two-button front, flap pockets, side vents, full lining. 100% bamboo viscose. Dry clean. Made in Canada. I bought this sport coat a few year ago and get more compliments on it than any other single piece of clothing. It travels very well, wrinkles much less than linen, and any wrinkles seem to disappear just by rehanging the coat. The fabric feels like silk but is much more durable. The color is neutral so you can wear it with just about anything. 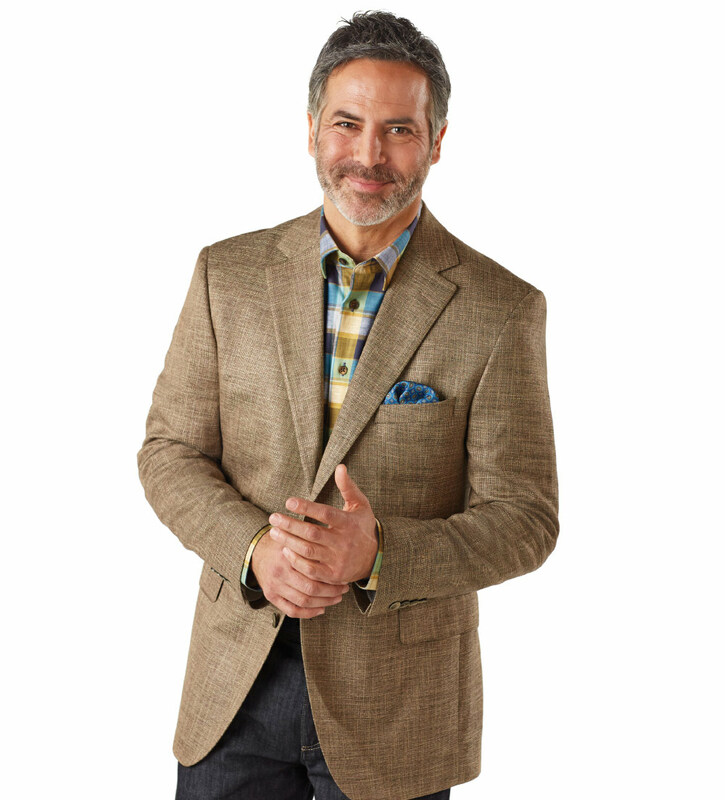 The fabric was produced by Loro Piana in Italy and the jacket is made for Patrick James by Jack Victor in Canada.